House Subcommittee Holds Hearing on NSL Authority, 3/30/2011. March 30, 2011. The House Judiciary Committee's (HJC) Subcommittee on Crime, Terrorism and Homeland Security held a hearing titled "The Permanent Provisions of the PATRIOT Act". The hearing centered on National Security Letter (NSL) authority, which empowers the FBI, for example, to compel phone companies and internet service providers to turn over records without seeking prior judicial approval. Republican members of the Subcommittee defended the Department of Justice (DOJ) and its Federal Bureau of Investigation (FBI), and their use of NSL authority. Rep. Trey Gowdy (R-SC) badgered the ACLU witness. Democrats criticized or questioned the FBI's use of NSL authority. As is the case for most hearings on surveillance issues, the Subcommittee gained only limited information, because it heard from government witnesses, but not from representatives of service providers, law professors with expertise in this area, or people targeted by electronic surveillance. Introduction to NSLs. Three provisions of the huge 2001 surveillance act (Title II of the HR 3162, 107th Congress, titled "USA PATRIOT Act", signed October 26, 2001, Public Law 107-56) are subject to sunsets -- those regarding Section 215 business records, lone wolves, and roving wiretaps. Many others are not. No NSL powers are subject to sunset provisions. The 2001 Act did not create NSL authority. However, it lowered the standard. Before passage of the 2001 Act, the government had to have specific and articulable facts demonstrating that the information sought pertained to a foreign power or an agent of a foreign power. The 2001 Act provides that the FBI may use NSLs to obtain information from a "wire or electronic communication service provider" that is merely "relevant to an investigation to protect against international terrorism or clandestine intelligence activities". These NSLs also include non-disclosure orders, or gag orders. NSL authority is codified at 18 U.S.C. § 2709 (criminal code's ECPA), 12 U.S.C. § 3414 (Right to Financial Privacy Act), 15 U.S.C. §§ 1681u and v (Fair Credit Reporting Act), and 50 U.S.C. § 436 (National Security Act). History of Abuse of NSL Authority. The Department of Justice's (DOJ) Office of the Inspector General (OIG) has written reports that document the FBI's abuse of NSL authority. DOJ Testimony. Todd Hinnen, the acting Assistant Attorney General (AAG) in charge of the DOJ's National Security Division (NSD) testified at this hearing. See, prepared testimony [PDF]. David Kris, the last AAG, recently left the DOJ. President Obama has nominated Lisa Monaco to replace him. See, story titled "Obama Nominates Lisa Monaco to Be Head of DOJ's National Security Division" in TLJ Daily E-Mail Alert No. 2,205, March 21, 2011. Hinnen wrote that "A national security letter is effectively an administrative subpoena, issued by a federal agency, requiring the production of certain limited types of information held by third-party custodians." He continued that "Under ECPA, the FBI may obtain subscriber information, toll billing records, and electronic communication transactional records from a wire or electronic communications service provider, such as a telephone company or an Internet service provider. This is the NSL authority that is used most frequently by the FBI". But, he added, "the FBI cannot obtain the content of communications through an ECPA NSL." He disclosed that some service providers have concluded that the FBI cannot compel service providers to produce "electronic communication transactional records" (ECTR). He said the the DOJ wants the ECPA to be amended to state that such production is required. He argued that "the current standards for issuance of an NSL are appropriate". He added that "Imposing a higher evidentiary standard on NSLs, as was the case before the reforms of the USA PATRIOT Act, would significantly impair the effectiveness of this important investigative tool." And, he argued that "NSLs are an indispensable investigative tool, and have often been described as the “building blocks” of national security investigations. NSLs contribute significantly to the FBI’s ability to carry out its national security responsibilities by directly supporting its counterterrorism, counterintelligence, and intelligence missions." As for the DOJ/OIG reports, Hinnen wrote that recent changes at the FBI have "significantly improved the FBI’s compliance with the NSL statute and has reduced errors in the production of NSLs to a very low rate". Kenneth Wainstein was the NSD AAG late in the Bush administration. He now works for the law firm of O'Melveny & Myers. He did not disclose any of his clients. He noted in his prepared testimony that "Thanks to the determined efforts of our law enforcement and intelligence leadership and personnel, we now have a formidable counterterrorism program that has succeeded in preventing another 9/11 attack and keeping al Qaeda off balance". He added that "we now have a well-balanced legislative framework" and "we have every reason to approach the ten-year anniversary of the PATRIOT Act with confidence that its authorities and safeguards will continue to contribute both to the defense of our national security and to the protection of our civil liberties." ACLU Testimony. 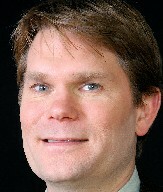 Mike German of the ACLU criticized the FBI's history of abuse of NSL authority. See, prepared testimony and ACLU release. He wrote that "It is time for Congress to act. Lawmakers should take this opportunity to examine thoroughly all Patriot Act powers, and indeed all national security and intelligence programs, and bring an end to any government activities that are illegal, ineffective or prone to abuse." He continued that "NSLs are secret demand letters issued without judicial review to obtain sensitive personal information such as financial records, credit reports, telephone and e-mail communications data and Internet searches." German (at right) urged the Congress to "Repeal the expanded NSL authorities that allow the FBI to demand information about innocent people who are not the targets of any investigation. Reinstate prior standards limiting NSLs to information about terrorism suspects and other agents of foreign powers." He also urged the Congress to "Impose judicial oversight of all Patriot Act authorities. Allowing the FBI to self-certify that it has met the statutory requirements invites further abuse and overuse of NSLs." German's 31 page singled spaced prepared testimony also contains detailed reviews of, and proposals to changes to, other surveillance provisions of the 2001 act. However, the Subcommittee members focused only on his proposals regarding NSL authority. Who Speaks for the Privacy Interests of Individuals? The Subcommittee heard no testimony from individuals whose records have been obtained pursuant to NSLs. In his oral testimony, Hinnen made the assertion that in protecting the interests of individuals, the telecommunications companies are a "proxy" for their customers. German disputed this. He said that the "telecommunications companies were not looking out for the interests of their customers". Even if the service providers represent the interests of their customers, the Subcommittee heard no testimony from executives at phone companies, internet service providers, other targets of NSLs, or from representatives of their trade groups. No one testified for either surveilled individuals, or for the service providers. Nor did the Subcommittee hear testimony from any law professors who teach on write on surveillance law. As is the case at almost all Congressional hearings on surveillance, the only witnesses with particular or personal knowledge of relevant information were current and former government officials engaged in surveillance activities.